Before my husband and I bought our current home we were planning on building our dream home (we had even picked out every single exciting detail with the builder). When life took another direction we were both pretty disappointed (explanation found HERE). 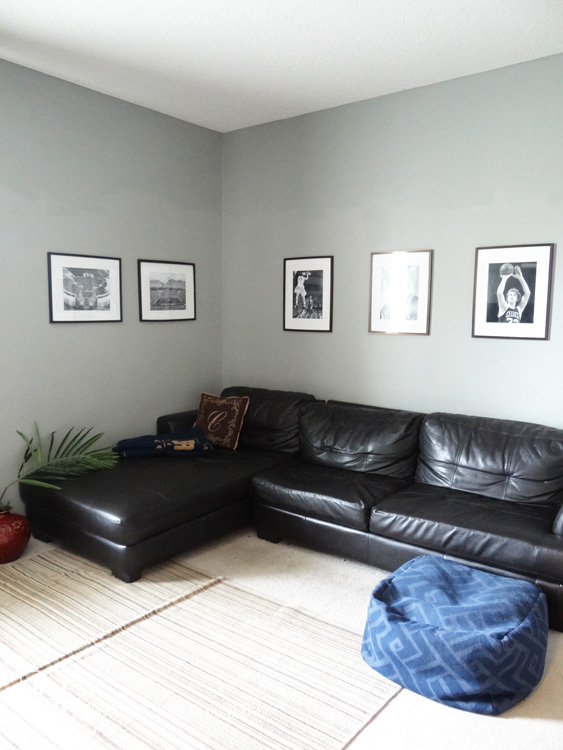 Hoping to lift my husband’s spirits and in a moment of weakness and sheer delirium I told him that the room off of the kitchen which would be our media room could be his man cave and that he would have free reigns to decorate how he would like. 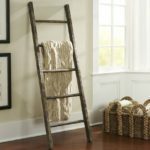 After we got settled into our current home I immediately got started DIY-ing–embellishing fireplaces, ripping down wallpaper, painting bannisters, etc and had forgotten all about my moment of delirium. 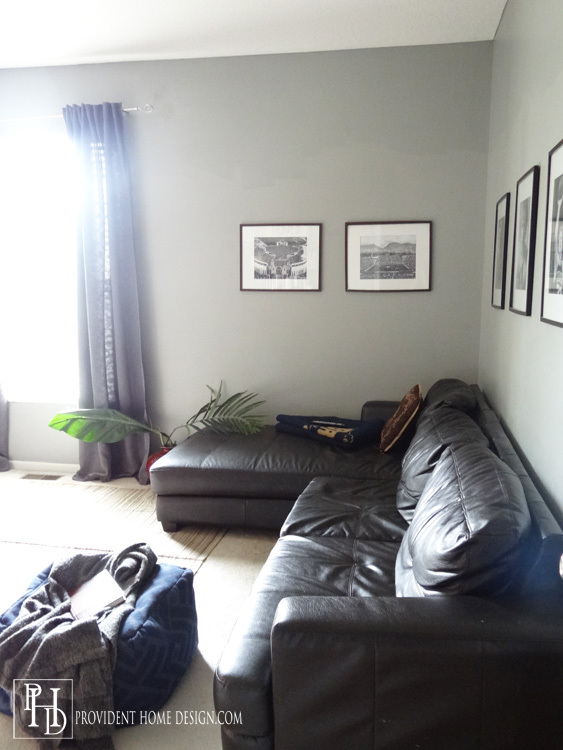 After a few months of ignoring the forest green wall paint in the media room (media room sounds so much better than TV room) I was finally ready to start thinking about paint colors and décor for the room. 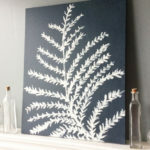 One night as my husband noticed me scoping out the room and playing with paint samples he casually reminded me that I had said he could decorate the room (cave) and that he had some ideas. He went on to describe a room that contained photos of his favorite athletes and some of his college football stadiums plastered on the wall. My mind quickly went to a scary place–my older brothers’ room growing up dotted with random sports photos from their sports magazines (no color coordination at all)! Me: Umm, Hun, I don’t think so. Husband: Sorry, but you said I could decorate it and I want to. Me: (Thinking to myself-Did I really say that?? Why did I say that??) No, Hun, I think I said you could decorate your closet. Husband: Nope, I know you said I could decorate this room. Me: (Thinking to myself- Shoot he’s not backing down. Maybe I did say it? Why did I say that??) Okay, Hun, but I don’t want this room to be one of those tacky man caves. Can we please work together to make something attractive? Husband: Sure, but I still want my sports photos. 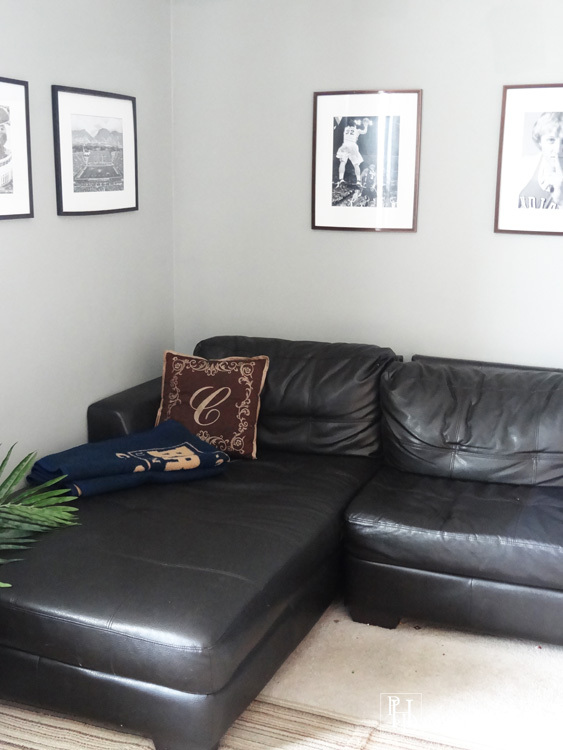 Through the process of decorating a room for my husband and his likes I have come up with 6 elements to creating a stylish man cave. 1. Black and White Matted Photos. My husband wanted a few very specific pictures of his all time favorite basketball player, Larry Bird, as well as one of his favorite college players. He also wanted pictures of his two Alma Maters’ football stadiums . In color this could have looked like another version of my brothers’ room growing up but in black and white it is a stylish photo gallery! I used photoshop elements to make the photos black and white and printed them out at Costco for $15. 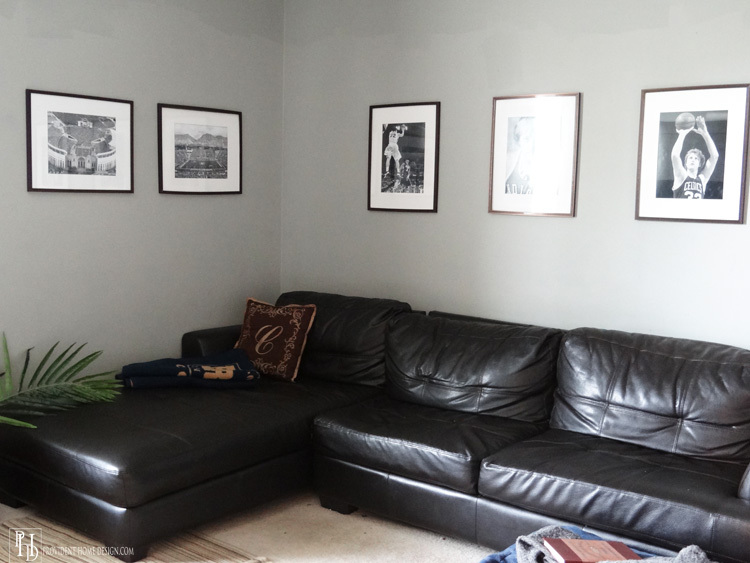 Then I bought five already matted frames at JoAnn’s half off for $9 a piece which came to $45. Black and white photos always look stylish and lend themselves to a masculine feel. You can’t go wrong with them! 2. 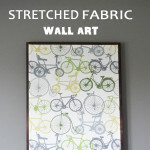 Wall Color in Grays, Navy, or Neutral Shades. 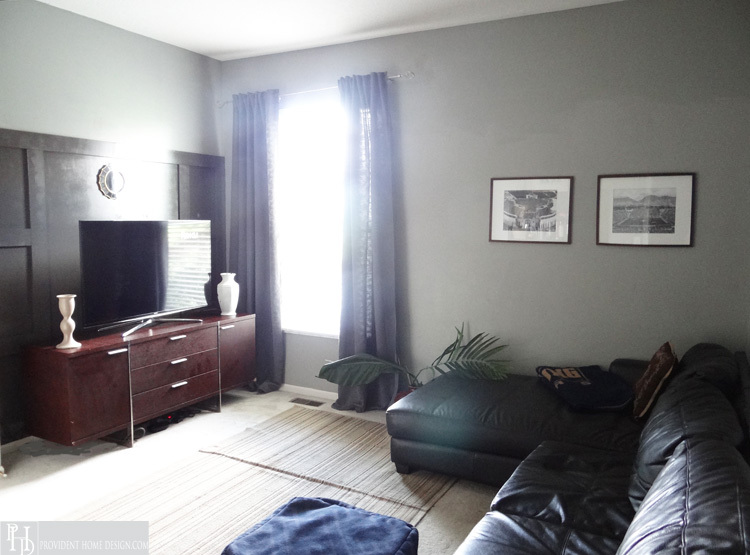 We chose to paint the room Valspar Wet Cement and the accent wall Sherwin Williams Urbane Bronze. 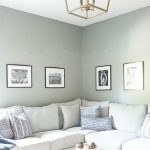 There are so many gorgeous gray paint colors out there that you can’t go wrong with gray–Sherwin Williams Dovetail, Benjamin Moore Kendall Charcoal, Farrow & Ball Downpipe just to name a few! 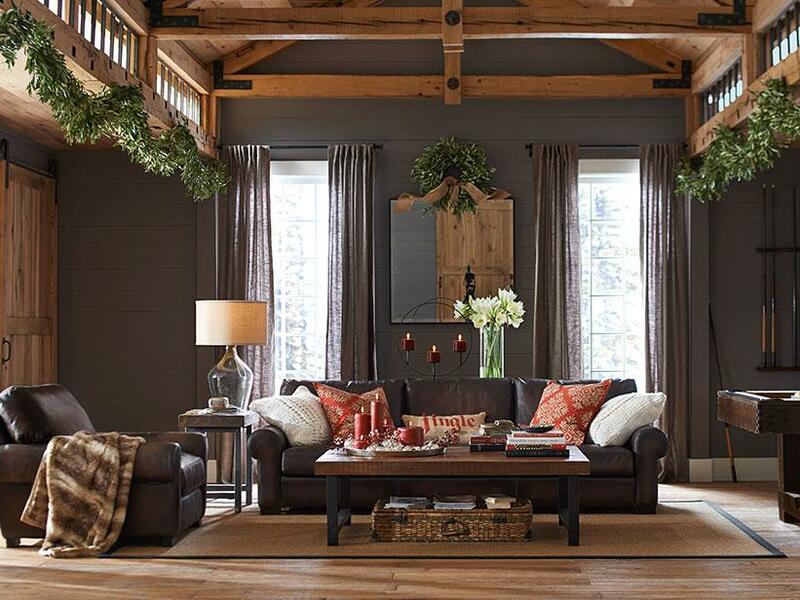 Darker painted walls immediately bring a cozy, manly cave-like feeling to a room that is hard to get any other way. 3. Leather. 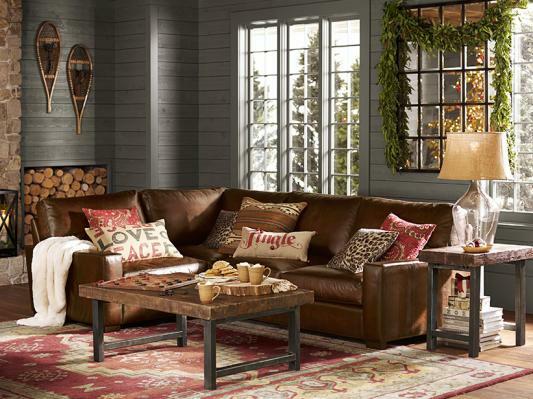 If you can, bring in some sort of leather furniture or element–a couch, an armchair, an ottoman, or even a leather pillow. 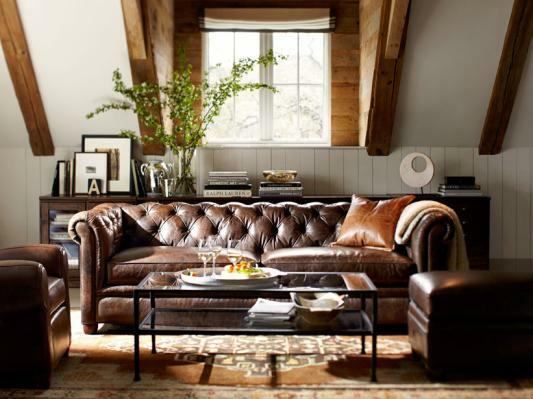 Leather has such a rich, posh vibe that it could turn a room in a frat house into a stylish man cave. 4. Textiles with Stripes, Plaids, and/or Geometrical Shapes. 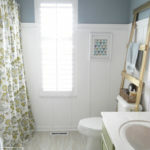 The patterns in a room can do a lot for making a room feel masculine or feminine. Stripes, plaids, and geometrics lend their way to a masculine vibe. This is a mood board I created of my ideal man cave. 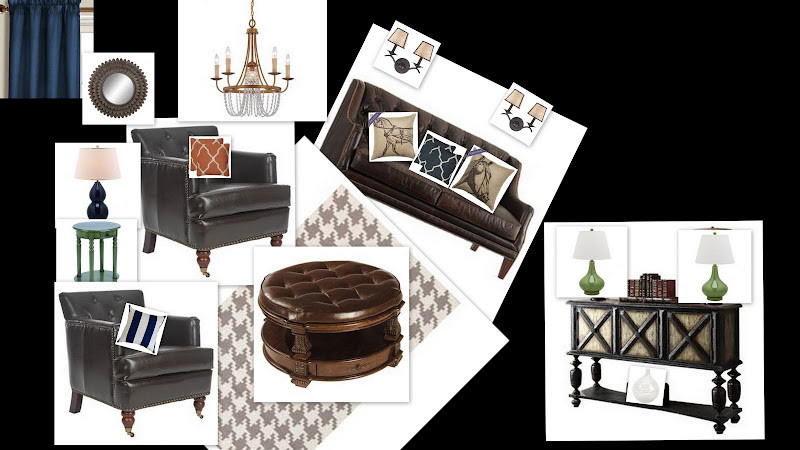 Patterns depicted are a stripe pillow, X’s in the console table woodwork and ottoman tufts, lattice pillows (which resemble a diamond shape, and a houndstooth rug. For our real man cave I bought a striped rug from Meijers for $26 (and it has a bump in it that for the life of me I can’t get out) and a navy pouf with a geometric pattern from Target on sale for $35. 5. Wood Work. 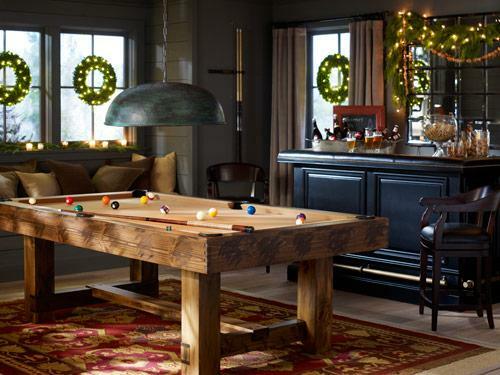 While wood work isn’t a must it does help a man cave look more sophisticated and stylish. 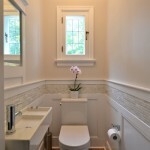 Wood work can come in all shapes and forms but the best fit for a man cave would be wood paneling or wainscoting in square or rectangular shapes. 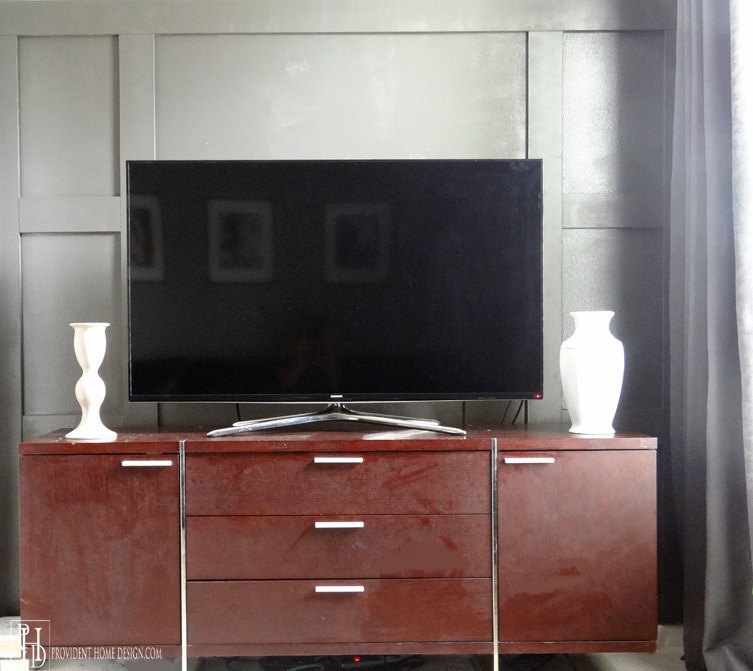 I did a simple rectangular board and batten treatment using 4 inch wide MDF for the accent wall behind the TV (sorry for the bad quality phot0). 6. Function Can Be Stylish Too. Lastly remember you don’t have to sacrifice style for function or vice versa. 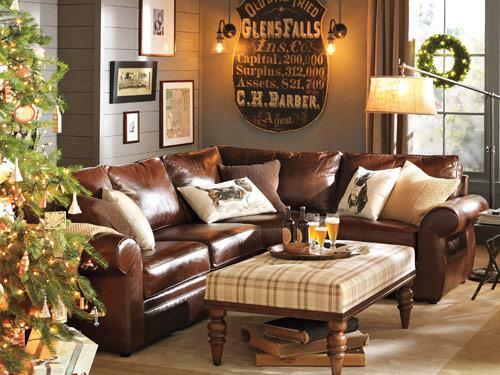 Plan the room around what activities will be done in the man cave and the interest and needs of the “man”. For example will the man be eating or drinking in the room? 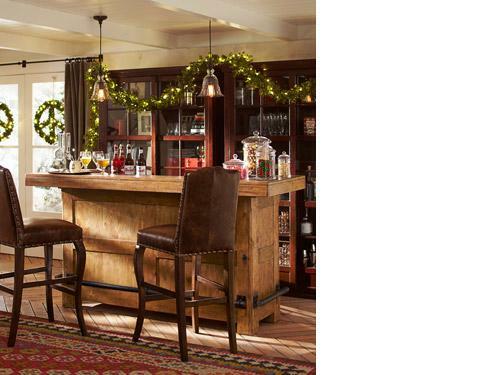 If yes, there will need to be a coffee table or side table to put drinks or plates on but a stylish one. My husband works at a desk all day so when he gets home he wants to stretch his legs out which works well with the chaise part of the sectional. My husband also likes to read so we keep his more recent books in a bookcase in the room. The bookcase was free from an acquaintance who was moving and the baskets are from the dollar store. 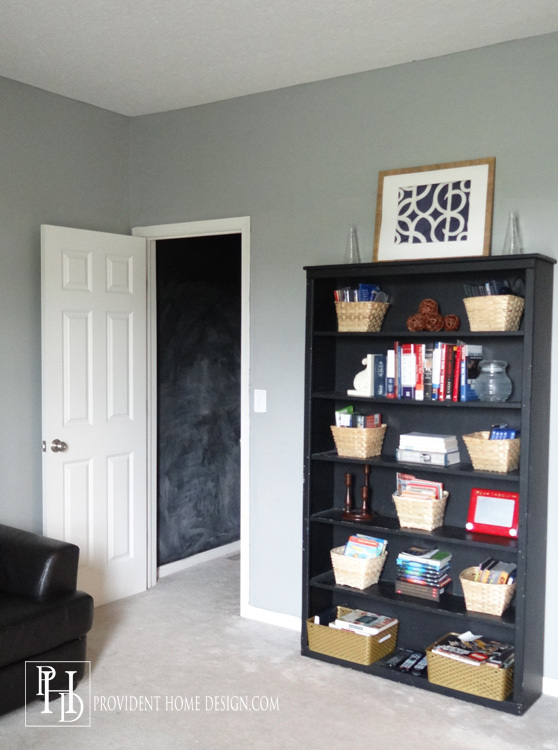 The man cave has a closet where we store the kid’s board games and as well as a chalkboard wall. 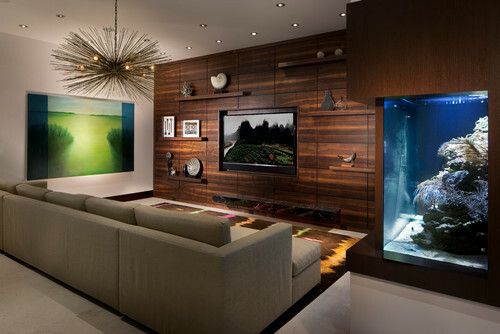 Just remember that whatever your man likes to do in his cave can be done in style! Looking good Tamara! I remember watching several episodes of the bachelorette in said man cave! Lol, yes and way past our bedtime!:-). Thanks for your note, Wendy! Love your written thoughts of discussing the man cave with James. So funny! Sounds like something that would happen to me. Kolby will be jealous to know that others actually have man caves. Hope you are doing great! Thanks, Amy!:-). Can’t wait to see you in a couple of months! I love the room – it’s beautiful! (In a manly way of course 😉 lol) So this might SOUND kind of tacky, but since no one would see it, I wonder if you could take some (manly) duct tape and put it under that rug where the bump is. Maybe if it sticks to that it will flatten it out? My husband would love a room like this, although I’m pretty sure it would never look this neat. Haha! 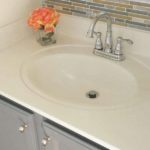 Tamara, I love your ideas for making a man cave stylish, because I think a lot of couples face this dilemma….making HIS stuff aesthetically pleasing to HER. 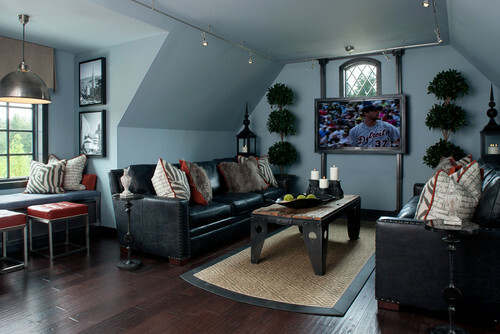 I used some of these same Pottery Barn rooms when I helped a client with her lower level media room. 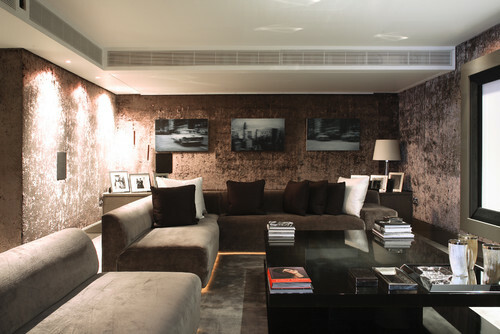 The combo of grey, leather, and smartly framed sports photos definitely gives a bit of sophistication to a space. 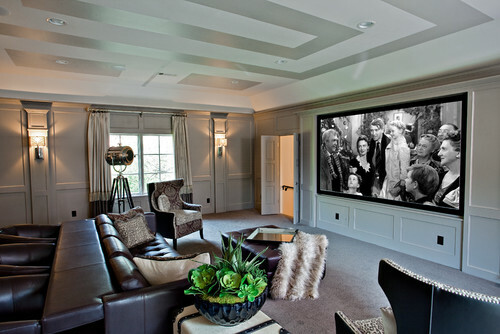 I hope both you and your husband are loving this room now – it looks so great!! where is the man cave chandelier from? Hi there! 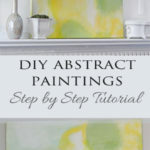 The chandelier from the man cave inspiration board is from https://www.jossandmain.com! Thanks! It looks identical to one on RH site. What should I search for on joss and main? Joss & Main is one of those limited stock, short sale companies so I am guessing that particular chandelier is no longer available. 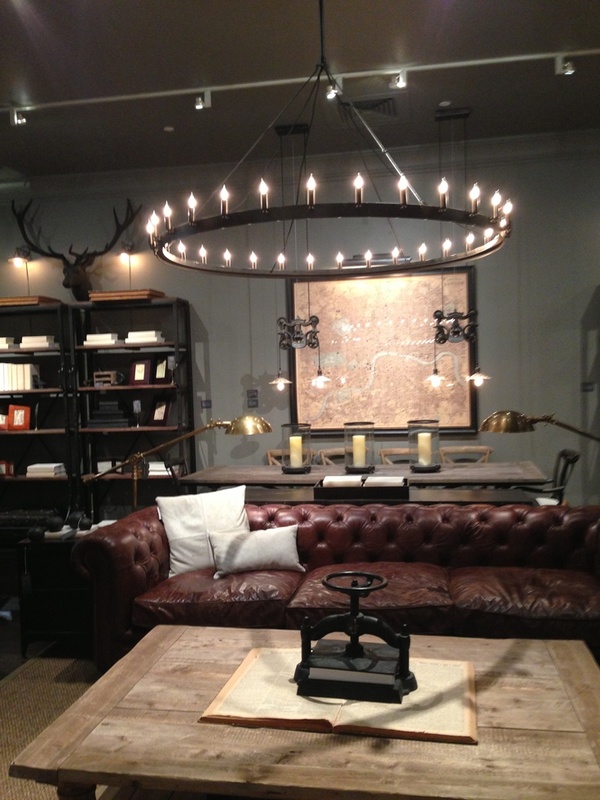 Here is a link to some of their other lighting available right now, https://www.jossandmain.com/EC%3A-8.28-Submissions-Marion-Chandelier~QZ10884~E23788.html?hotdeal=1&refid=GX54925220578-QZ10884&device=c&ptid=82274849465&network=g&adtype=pla&class_id=6085&targetID=pla-82274849465&gclid=CND86rP-scoCFQ6RaQodp7QGTg. Some of the chandeliers are pretty similar to the one you liked. Best wishes! !